Front: Behold throughout the heavens, there shone a Holy Light. 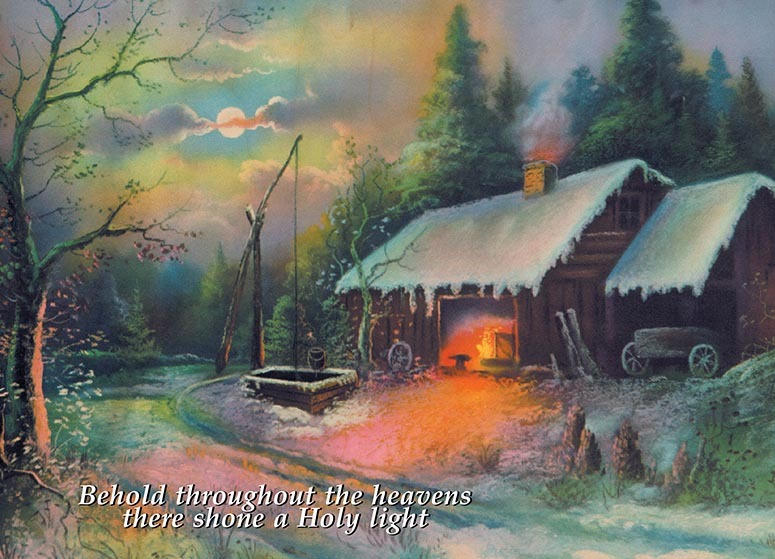 Inside: May we never forget why we celebrate the season, with hopes that you are blessed with the fullness of it's joy. SPECIFY ABOVE if you would like the Optional Thank You phrase: With sincere thanks for your business this year.